Even amongst the most elite performers, certain athletes stand out as a cut above the rest, able to outperform in clutch, game-deciding moments. These athletes prove that raw athletic ability doesn't necessarily translate to a superior on-field experience—it's the mental game that matters most. 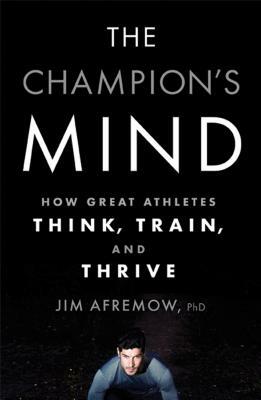 JIM AFREMOW, PHD, LPC, is a sports psychologist and licensed counselor for Arizona State University. He has worked closely with athletes at all levels, including pros from the MLB, NBA, WNBA, NFL, NHL, PGA Tour, and LPGA Tour as well as business professionals, performing artists, and others in demanding careers. He lives in Phoenix, AZ.